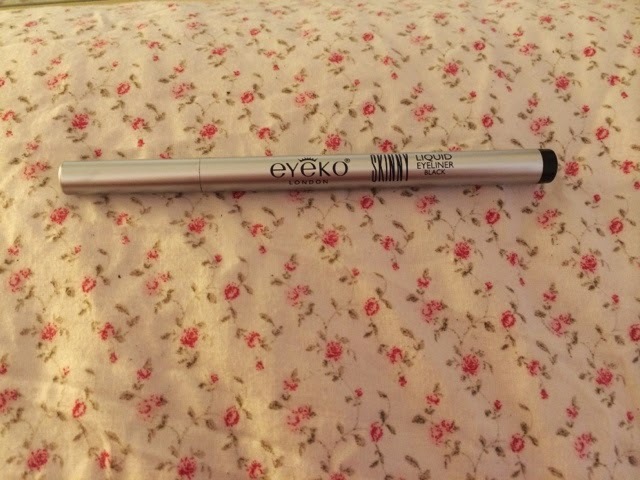 I recently bought the ___ magazine and saw they had a free Eyeko Skinny Liquid Eyeliner in Navy or Black. 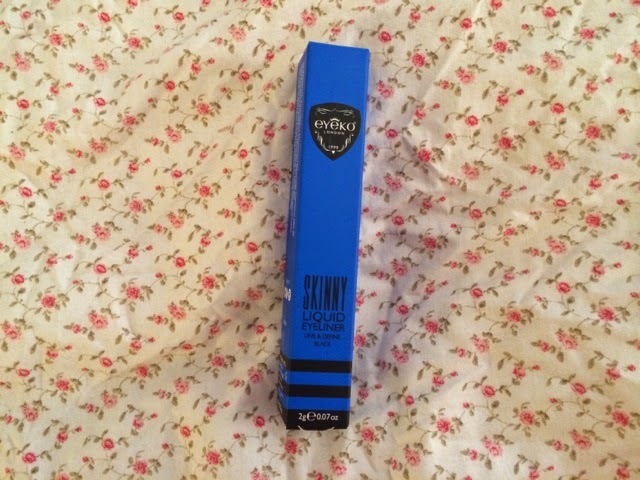 I picked up the black one, as my current eyeliner isn't loving me, I thought I'd give this one a try! I was quite pleased that I only spent £2 ish for the magazine and the eyeliner alone costs around £12. 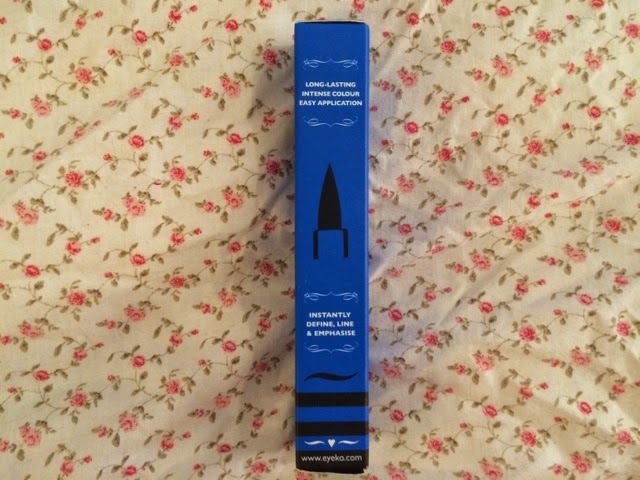 Considering you usually only get mini versions of products in magazines, I was really pleased that this was a full sized eyeliner. 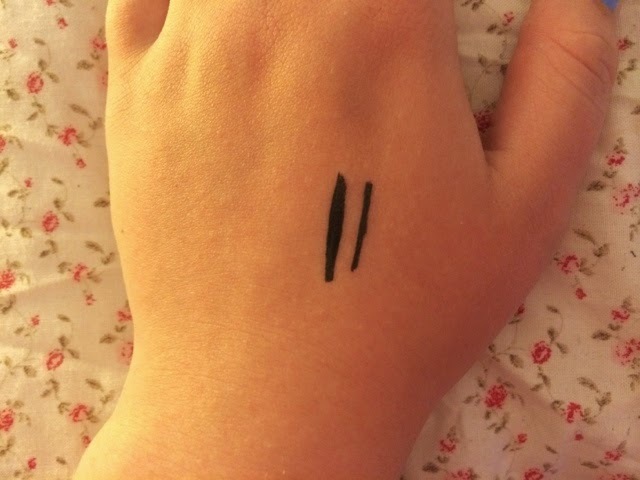 It goes on really smooth as it is a felt tip type eyeliner, which has it's pros and cons. I've had felt liners before and they can dry out really quickly, but I don't think this will try out from looking at the seal on the pen. I tried this on my hand in a thick and thin line, and also on my eyes. Sometimes liner is a bit funny on me; if my skin is a bit more oily it doesn't last as long as it should, but this worked wonders on me. It lasted all day on my hand, being a bit drier and didn't crack despite me moving my hand. On my eyes is lasted from 10am until I wiped it off around 10pm and had faded little bit, but was better than any other felt liner I've used. I saw a bit of a disagreement about this product on twitter amongst other bloggers, but I personally love it and wish I had bought multiple copies! Overall, I would definitely purchase this if the pen doesn't dry out like all the others I've tried previously, but it lasted very well on my eyelids. Let me know if you've tried it, and if the navy one is just as good!